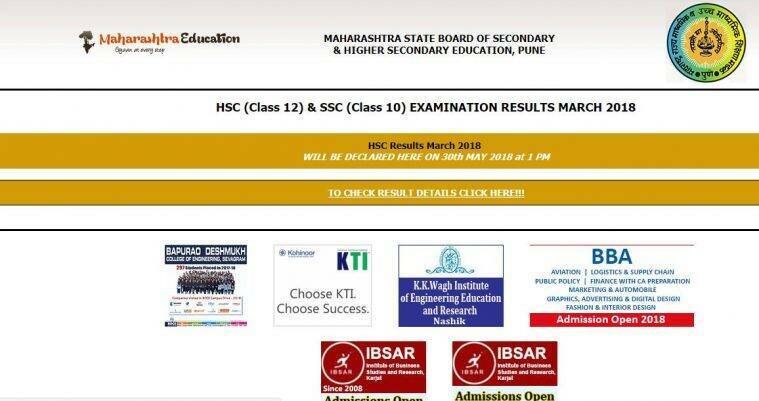 Maharashtra HSC 12th Result 2018, MSBSHSE Board HSC 12th Result 2018 Highlights: The Maharashtra State Board of Secondary and Higher Secondary Education (MSBSHSE) has announced the results of Class 12, Higher Secondary Certificate (HSC) examinations on May 30. The exams were conducted from February 21 to March 20. 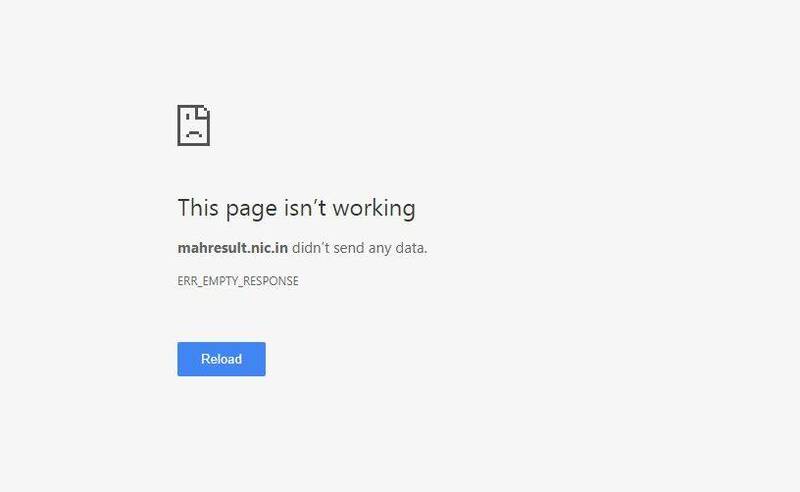 The result has been released at 11 am at a press conference at the head office in Pune, however, MSBSHSE will upload the subject-wise results post 1 pm on the website — http://www.mahresult.nic.in and even take print-outs of the same. The other websites where the results will be declared are http://www.result.mkcl.org, http://www.maharashtraeducation.com, hscresult.mkcl.org and examresults.net. The students who are BSNL users can also send an SMS to check their result. The format is MHHSC (space) (seat no) and send it to 57766. Immediately a day after the online results are declared, the Maharashtra Board will start accepting applications for revaluation of marks and photocopies of answer sheets. A model format for the same is available on the board’s website. For revaluation, students have to submit self-attested copies of their mark sheet and submit to the board office between May 31 to June 9. Among the nine divisions of the HSC, Mumbai’s pass percentage was the second lowest after Nashik. Incidentally, of the 5,486 students in the state who scored above 90 per cent marks, 2,288 or 41 per cent are from the Mumbai division. “This goes on to say that more students are scoring above 90 per cent but the overall performance needs to be improved,” said Wadia. After a marginal improvement last year (88.21 per cent), the overall pass percentage of Mumbai division dropped again this year. Since 2015, the overall performance of students from the city and suburbs has remained below 90 per cent. In the academic year 2016, Mumbai recorded a pass percentage of 86.6, a 4 per cent decline from 2015. The overall performance of students in the Mumbai division, who appeared for Higher Secondary Certificate (HSC) exams, has fallen this year with the overall pass percentage dipping by almost a per cent compared to last year. At a time when ICSE and CBSE schools are recording 100 per cent results, an overall pass per cent of 87.44 in the Mumbai division looked dismal, conceded principals of junior colleges. The third language scorer was Apoorva Karambelkar, a student of Brihan Maharashtra College of Commerce, who stood first in Pune division by securing full marks in French in her HSC examination. The 17-year-old who has been awarded Y K Soni and Roma Kantak Award, thanked her parents and teachers for their support. Topping exams though is not new to her as she has topped her school in SSC and has been the board topper in Sanskrit and Social studies. The second prize winner in the Japanese language, 17-year-old Ayli Pramod Ghiya from S P College who scored 76/100, said her interest in Japanese started two years ago when she went on a cultural program to Japan in order to perform in a play in that country. “Japan is a wonderful country and fascinates me,” said Ayli, adding that it was the language which piqued her curiosity. Ayli admits that Japanese was difficult for her in the early stages but now she can speak as well as read and write Japanese with a fair amount of fluency. In the future, Ayli wants to study architecture or interior design and is particularly fascinated by Japanese architecture. She also hopes to return to Japan at some point in the near future. “I can’t wait to go back because this time I’ll be able to speak to the people in their language,” exclaims a beaming Ayli. Harshada Lonkar, the daughter of an autorickshaw driver from Kondhwa and a student of Marathwada Mitra Mandal’s College of Commerce, was awarded Sarang Sathe Award for getting 81 out of 100 in Japanese language, a score which helped her top the Pune division. The University of Mumbai will open its admission process for undergraduate courses on June 1. The cut-offs are likely to be high, said sources. While the sale of forms will begin on May 31, the pre-admission online enrollment portal will open from June 1, said an official release from the university. The first merit list will be announced on June 12, the second on June 15 and the third and final merit list will be out on June 15. Principals in the city said that students from the state Board were up for an unfair competition, as CBSE and ICSE students had scored better marks. With more than 5,000 students in Maharashtra scoring over 90 per cent, 2018 saw many success stories. Some students, however, battled various challenge and have scored well. One such group is the differently-abled students at NGO Niwant Andh Mukta Vidyasalaya. Kshirsagar Kedar Kailas, an arts student, topped in her school with 80.15 per cent. “My day starts at 7 am and ends at 7 pm. My college lectures hardly help me, because I can only hear them. My classes at Niwant have, however, taught me everything,” he says. Kailas wants to appear for the IAS exam. In the HSC result released on May 30, 20-year-old Vijay Kadam, whose parents work as waste pickers in the city has scored 89 per cent. To support his family, he sells coconuts from a stall in Chavannagar area. “I had taken external admission as I knew I could not go to college every day,” he says. The total numbers of appearing students and passing percentage are increasing year by year. 14,16,986 students gave the exam out of 14,18,645 registered students and 12,52,817 students passed the exam. Overall percentage of this year is 88,41. 5486 candidates score above 90%. The previous year, total 17,57,140 students have appeared in the exam out of which only 15,06,486 students passed the exam. The overall passing percentage of 2017 was 85.73%. A total of 14,16,986 students appeared for the exams of which 12,52,817 students passed the exams. Pune got the highest passed percentage as compared to other regions. it stands on the top with 89.58 as 210963 students passed the examination out of 235502 appeared students. Nagpur stands on second position with 87.57 percentage. 144170 students passed the examination out of 164627 appeared students. The revaluation process will now from May 31 for all those who are unsatisfied with their marks. In case a student fails, he/she can then appear for re-exams which will be held in the month of July. The Maharashtra Education Board has released the HSC result today on May 30, at 1 pm. 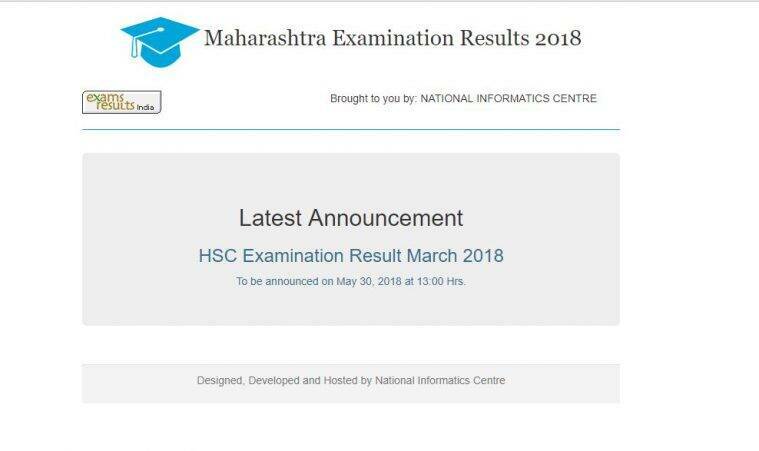 Students will now be able to check their respective scores at the official websites — mahresult.nic.in, maharashtraeducation.com and results.mkcl.org. In case of heavy traffic, if one is unable to open these websites, he/she may also check the marks at examresults.net. The students can also check the results via SMS. The candidates who are using mobile operators like Idea, Vodafone, Reliance, Tata, BSNL can send their seat number to 57766, 58888111. The students can check the results through the websites, mahresults.nic.in, maharashtraeducation.com and results.mkcl.org. The results will also be available at examresults.net. The students can also check the results via SMS. The candidates who are using mobile operators like Idea, Vodafone, Reliance, Tata, BSNL can send their seat number to 57766, 58888111. The students can check the results through SMS also. The candidates using mobile operators like Idea, Vodafone, Reliance, Tata, BSNL can send their seat number to 57766, 58888111 to get their results. The students will get the marksheets from respective schools on June 12. The marksheets will be available from 3 pm. MSBSHSE will be releasing Maharashtra SSC Class 10 result 2018 in June first week. Many anxious students are also posting funny memes on Twitter. Me:q tuje kya hua? Tu q nhi dekhega? The result will be uploaded on the official websites soon. Students should their hall tickets/admit cards ready to check their scores. A total of 5486 candidates have score above 90 percent in Maharashtra. Students will shortly be able to download their marks. The Maharashtra Board also conducted the SSC examination from March 1 to March 24. Over 17.51 lakh students had appeared for the SSC examinations. Science faculty recorded a pass percentage of 95.85. Pass percentage for commerce stood at 89.50 and MCVC stream recorded 82.18 pass percentage. Students wrote exams for 210 subjects of which 56 subjects had 100 percent results. A total of 5379 handicapped students had appeared for the exams out of which 5374 have passed bringing the pass percentage to 91.78. Once again with 92.36 per cent, girls have outperformed boys whose pass percentage stands at 85.23 per cent. The Board conducted the exams at 9 divisions: Konkan, Mumbai, Pune, Aurangabad, Nagpur, Amaravati, Kolhapur, Latur and Nashik. The Maharashtra State Board of Secondary and Higher Secondary Education (MSBSHSE) will release the results of Class 12, Higher Secondary Certificate (HSC) examination, on Wednesday at 1 pm. A total of 14.85 lakh students — 8.35 lakh boys and 6.50 lakh girls — across the state had registered for the Maharashtra Board examination that were conducted from February 21 to March 20.